Landline phone and broadband services could soon become commodities. The prospect does not spell good news for cable TV and phone companies. A commodity is defined as a product or resource that is traded primarily on the basis of price, and not on differences in quality or features. When a product or service becomes a commodity, in the long run, the market price of such a commodity will fall to the marginal cost of the lowest cost volume producer. Broadband was originally provided by cable TV companies. Its speed is measured in millions of bits per second (mbps). Cable broadband typically varies from 1 mbps to 16 mbps: the higher the mbps the higher the price. Most cable broadband sells for $40 per month or more. Beginning in 2000, phone companies began to offer broadband through DSL. Their advertised bandwidths are in the 1 to 6 mbps range. Their prices are usually much lower than cable: From $35 down to $14.99 per month. Recently phone companies have been beating cable in signing up new broadband subscribers. In 2005 telephone companies added more broadband subscribers than cable operators — 5.2 million vs. 4.4 million. The broadband market share of the top cable providers decreased to about 57%. The reason for the difference: better marketing and lower price. It may be that your subscribers cannot tell the differences in the speed of broadband. Once you have 4 or 5 mbps, it is difficult to notice higher download speeds – which, in general, are lightning fast at 5 mbps. Rather, consumers may be more concerned with reliability. Broadband may gradually begin to appear to consumers like electric service. If it works and is reliable, the price is your only concern. Danger: that means that it has become a commodity. Landline telephone service has been almost a commodity for many years, beginning with the competition in long distance provided by MCI and Sprint twenty years ago. Local landline service was a monopoly, but FCC regulations forced the companies to sell access to others to provide long distance service. More recently, cable TV companies have been offering landline phone service, with 8 million US customers signed up so far. In addition, wireless companies have been offering such competitive service that many people have been dropping their land lines. Finally, Voice over Internet Protocol (VoIP) companies like Skype and Vonage have begun to offer competitive phone service with most of the standard ancillary features such as caller ID, call waiting, call forwarding, voice mail, etc. Not all competing services work equally well today, but they are improving. Soon it may be impossible to tell the difference between the various landline phone services. They will become true commodities. When that happens, price and reliability will be the determining factors in phone service. Many monthly bills today are $41 or more per line but some are only $14.95. When all phone calls have the same quality, consumers will begin to realize that they can save $300 or more per year by shifting to a lower cost provider. The full commodity process will have arrived. Satellite and cable companies have been battling it out for years: each promising better content. Dish Network and Direct TV offer more than 250 all digital channels including scores of high definition channels. DirecTV has exclusive rights to the NFL package. In addition, all TV providers today offer premium services such as sports, movies, video on demand, and concerts. If you shop around you can find real differences in the TV services and prices available. Serious money is being made. This is why Verizon and AT&T are getting into the TV business. They offer all digital service with hundreds of standard and high definition channels. Why are phone companies entering this new field in which they have no prior experience? Because TV is the one service that they can offer that is unlikely to become a commodity and that offers real chances for major increases in monthly revenue per subscriber. The broadband and phone price wars have not taken off yet, but they soon will. When services become commodities their prices tend to fall to the marginal cost of the lowest cost volume producer. Phone and cable companies whose landline phone Average Revenue per User (ARPU) is $40 per month may see their competitor’s market prices dropping to $15 or less. The phone companies are losing 7% or more of their landline customers every year. These subscribers may never come back. Broadband prices will also fall. If AT&T can offer broadband for $14.99 per month, how long will competitors be able to keep their prices in the $20 to $50 range? Prices will drop. As prices of these services fall, the phone companies in particular may find that to keep their subscribers they have to price their services below the cost needed to maintain the millions of miles of lines, poles, substations, and the thousands of service personnel needed to keep their system operational. Something needs to be done. It is not inevitable that broadband and phone services have to become commodities. The future is in the hands of phone and cable company marketers. They have both realized that TV content is a hook that can be used to acquire and maintain subscribers. As phone and broadband tend to become commodities, TV will become more and more important as a means of differentiation. Differentiation is a way of avoiding the commodity trap. This is a time for branding. Laundry detergents are basically the same, but marketers have been able to persuade the public that Ajax, Bold, Fab, Oxydol, Tide, Wisk, Woolite and a dozen others are somehow different and should command a higher price. Learn from the experts. This is a time for bundling. To avoid having phone and broadband becoming commodities, these services can be linked to TV in seamless a way that makes it hard for the subscriber to compare prices and shop around. Talk about sports, movies, and TV shows, not about individual product prices. You can differentiate not only in the content but also in the way that the content is grouped for audience segments. 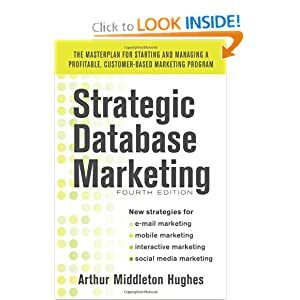 Build a subscriber marketing database: Phone, TV and broadband subscribers are addressable. You can, and should, capture their emails as well as their home addresses and phone numbers. Use these to build a subscriber database, and use it to communicate to reduce churn. Segment your subscriber database. Append demographics, behavior, viewing habits, and phone usage. For digital subscribers, you know what they like to watch and when. Create a profile of each subscribing household so you can use it to build a relationship to maintain loyalty and to sell premier services. Know who the sports fans are, and the movie buffs. Communicate with your subscriber database. With your segmented database develop personalized communications – email, direct mail, and through your TV channels — with each subscribing household. To be effective, the communications should concern something that the subscriber is delighted to receive, instead of something that you are anxious to sell. Make your database a treasure house of information that can be mined to produce relevant messages: announcements of movies, sports events and new developments. Use the power of packet switching to address the ads on your channels to each particular household, rather than to viewers in general. Communications work, and can help you to maintain subscriber loyalty. They can keep you out of the commodity trap.